Ever had to book a taxi at the last minute or plan a long trip around the Island without knowing which Taxi to hire? Or you simply went out on a weekend and had trouble to get a taxi to return home? Well, you do not need to worry about that anymore. MYP will provide you a range of taxis in the region you are in. 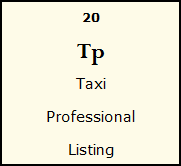 You will be able to scroll through a easy friendly list of Taxi that suit your purpose. Additionally, you will be able to get the best prices. At MYP we deem it a necessity to have a Taxi Service to connect the country 24/7. Taxi Drivers will be exposed not only to clients in their region but around the Island. Its a win - win situation. We intend to extend the services and add many other features. Contact us at our Customer Service to get more details. Thank you.